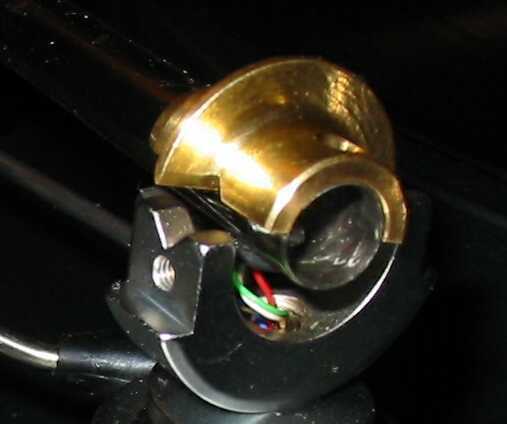 A while ago a friend pointed my interest to a tuning article for old style SME tonearms, a bronze knife edge bearing. As I have always been an afficionado of old SME tonearms, I wanted to give it a try. Waiting some weeks patiently after ordering - note that these bearings are manufactured in small batches - I finally got this masterpiece of CNC machining. For testing I didn't want to involve my SME3012-2 installed on my TD124, because it is running in the living room, and my lady is strictly against modifying the living room hifi. So I tested it in a SME3009RM on a Solist turntable. The turntable is a German specialist small production run suspended deck from the late 80ies and got a lot of raves, soundwise it is somewhere between Linn LP12 and Scheu. I took an Ortofon SPU GM/E cartridge for testing. As I already had SME parts from SME3009-ser2 improved, I had the rare opportunity to listen to three different knife edge bearings on one evening: the standard SME plastic varint, the extra pricey steel variant, and the new bronze variant. I took the record from Jennifer Warnes "Famous Blue Raincoat", which I didn't listen to for some months. 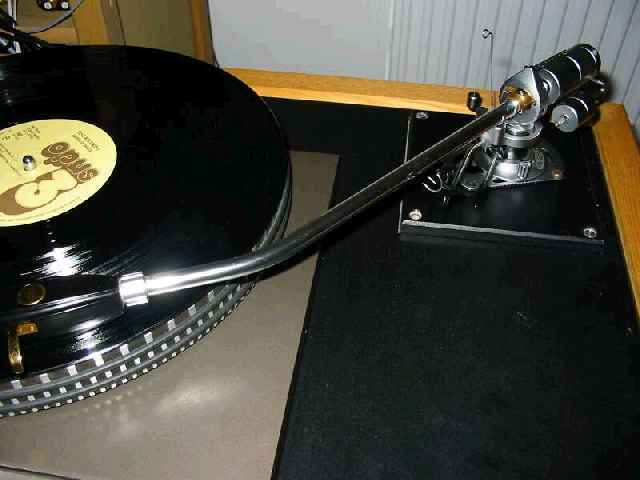 remove the yoke (that part of the tonearm, where the antiscating bar is attachted to) - Note: From here it is vital to be careful: do not tear the arm tube with brutal force, or you tear the internal cables. remove the rear bearing screw, then take off the rear tonearm stub, doing it with gentle force. (this is a bit tricky indeed) you need pointed, but strong tweezers, which you put in the arm tube from behind, to hold the ground eyelet in a position, that the front bearing screw can be screwd in into it, through the bearing. OK, either you need four hands, or a bit luck or skills. (6-8) are reverse to steps 3-1, so they are obviously and they don't make you trouble. The original steel knife edge bearing has a strong, vivid, but also a bit artificial sound (like CD something sounds synthesized), sililants are overly sharp and pronounced, giving some uncomfortable feeling. There is a slight ringing detectable, sometimes reminding that the arm tube is made from steel. The bronze knife edge bearing has much better refined sibilants, sounds more untroubled, at the same time also more dynamic, finer and more natural. Voices benefit most, getting more realistic. Soundstage opens further than with both other bearings and bass and treble information are better defined, too. No ringing detectable here, this was a big surprise, as I did not change the steel armtube, only the bearing. The plastic knife edge bearing sounds homogenous and very nice, but a bit lame and boring compared the first two bearings. Dynamics were a bit flat, and bass flobby. Sibiliants have been presented good. When used with the bronze bearing, the SME 3009R sticks up to the old war horse SME3009-2 of the sixties from musicality, better said flow and naturalness. Until now, it was a decision of heart for Garrard or Verdier owners: do I take the old SME 3012/2 which sounds so musical, or the new SME3012RM which sounds cleaner, but also "cold". Most folks, who know the differences opt for the old tonearm when they have the opportunity to get one in good condition. Do I recommend the bronze bearing ? Yes! Owners of a SME3009R with plastic knife edge bearing, who always thought of upgrading to metal knife edge bearing, they now get an option, which is both cheaper (about 30% less) and sonically more rewarding. But the bearing upgrade is also interesting for owners of the SME3009RM with steel knife edge bearings, as the sonic benefits are way beyond that which you can buy for the same investment in cartridges. Meanwhile, I have tested the Bronze bearing in the SME3012/2 (old style SME from the 60ies, with aluminium wand) and I was suprised to find much different results. 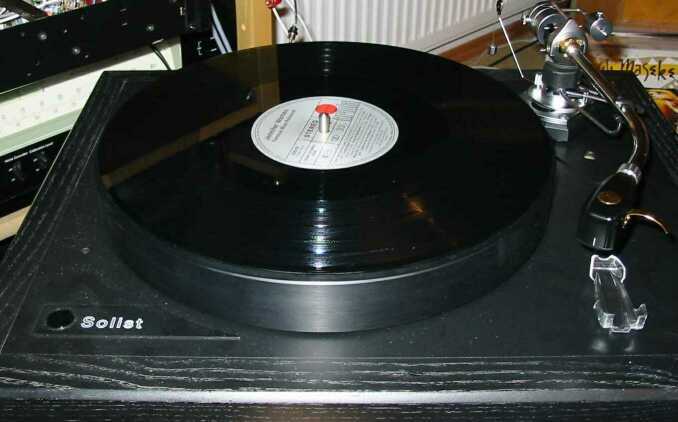 The SME3012/2 was mounted in a Loricraft-Garrard 401 with 12 inch plinth, which is a really beautiful setup. The cartridge was the same like in the test before, when I used the SME3009R. When changing the bearings, I eventually have torn an internal wire and had to rewire the tonearm, then waiting some days, that the new cables run in. It is much more complicated to do the bearing change with the SME30xx/2 series, as there is no access from behind into the arm tube, normally. Then, there are early models, where the front bearing screw holds an eyelet for the ground cable and an extra miniature nut, instead of an eyelet with thread. I even changed the bearings several times to be sure, because the results are quite strange. Now, to make a long story short: While the Bronze bearing enhanced fine detail resolution and bettered the sibilants compared to the old steel knife edge bearing, bass depth and soundstage got smaller, and what is worse, the tonearm lost its charme, or in other words, its singing quality. The SME3009R does have a 0.25mm thick stainless steel arm tube, whereas the older SME 3012/2 is equipped with 0.5mm aluminium arm tube. Because of this, the findings in this test cannot be simply transferred to the SME3012/2, as it behaves different with the bronze bearing. Have in mind that the old SME3009/2 and SME3012/2 are already sounding excellent with their steel knife edge bearings. 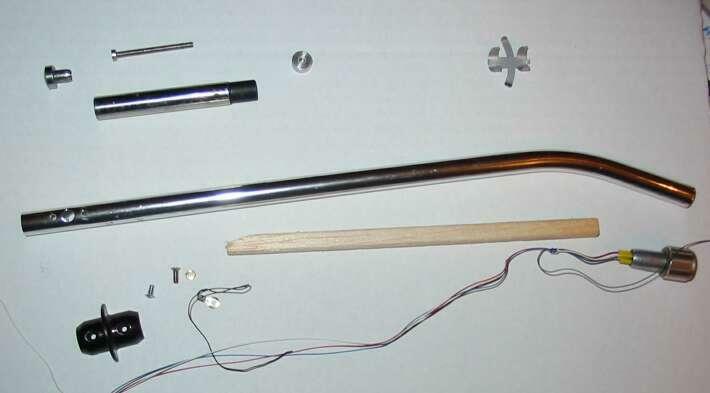 To summarize: the modification is recommeded for the series R tonearms, but objected for the old series 2 tonearms. I was then curious, how better the SME3009R got in comparison to the unmodified old tonearm. For this comparison, I used a standalone tonearm base with SME hole, and listened on my Pluto 10A turntable. I used the same Ortofon SPU GM/E cartridge. The modified SME3009R won in terms of bass extension, treble resolution, resolution of fine detail, even PRAT was better. The old SME3012/2 did hold against that a more comfortable, charming presentation, with a seducing midrange, which always reminded me of a tube amp. Though neither tonearm was as good as my Schroeder No.1 with Ortofon Rohmann cartridge.